« UNWRA: Time for a Rethink? Russia’s invasion of Ukraine, in early 2014, gave rise to fears that the Kremlin might try its luck militarily elsewhere in eastern Europe. That has not (yet) happened, but the prospect that it might nevertheless has led to a fundamental reassessment of European security. NATO now has thousands of troops, armour and aircraft stationed in Poland and the Baltic states. But Russia’s war in Ukraine was not – and is not – just about Ukraine. It is about the Western institutions, laws, and values that have underpinned the post-Cold War international order – and who is willing to defend them. In the five years since 2014, how has the security situation in Europe’s east changed? By kind invitation of Lord Cromwell, The Henry Jackson Society is pleased to invite you to join Lithuanian Ambassador Renatas Norkus and Edward Lucas for a panel discussion on Eastern European security five years from Maidan. 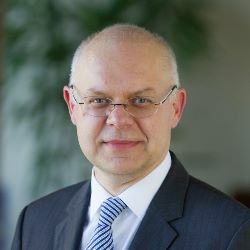 Renatas Norkus has been Lithuanian Ambassador to the UK since 2017. Among various other diplomatic roles, in 2011 he chaired the OSCE’s Permanent Council and between 2012-2014 served as Extraordinary and Plenipotentiary Ambassador of the Republic of Lithuanian to the Russian Federation. He also served as Ambassador-at-large (2014-15) and then Director (2015-17) of the MFA’s Transatlantic Cooperation and Security Policy Department. Edward Lucas is a writer and consultant specialising in European and transatlantic security. His expertise also includes energy, cyber-security, espionage, information warfare and Russian foreign and security policy. 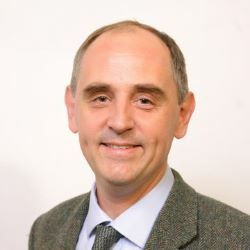 Formerly a senior editor at The Economist, the world’s foremost newsweekly, he is now a senior vice-president at the Center for European Foreign Analysis (CEPA). He writes a weekly column in the London Times. In 2008 he wrote The New Cold War, a prescient account of Vladimir Putin’s Russia, followed in 2011 by Deception, an investigative account of east-west espionage. His latest book is Cyberphobia. He has also contributed to books on religion and media ethics. Orysia Lutsevych Research Fellow and Manager of the Ukraine Forum in the Russia and Eurasia Programme at Chatham House. She focuses on social change and the role of civil society in democratic transition in the post-Soviet region. Her recent research analysed Russia’s use of proxy NGOs in achieving its foreign policy objectives. 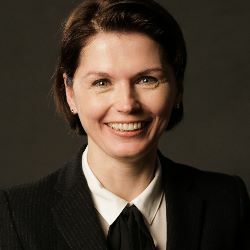 She is author of the Chatham House briefing paper ‘How to Finish a Revolution: Civil Society and Democracy in Georgia, Moldova and Ukraine’. Prior to joining Chatham House, she led the start-up of Europe House Georgia and was Executive Director of the Open Ukraine Foundation. She has an MS in International Relations from Lviv State University and an MS in Public Administration from the University of Missouri. 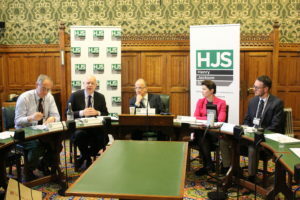 On the 26th February the Henry Jackson Society was delighted to host our latest event, ‘Eastern European Security: 5 Years from Maidan’. Our guest speakers included Lithuanian Ambassador Renatas Norkus, Edward Lucas and Orysia Lutsevych. The event was chaired by Lord Cromwell. Renatas Norkus began the event with his opening remarks by stating that modern Ukraine was born after the Maidan Protests in 2014 and whilst it is here to stay, there is still a lot to be done. He moved onto the topic of security and asked the question of ‘how do we make sure of our security?’ in the face of Russian aggression. Norkus discussed how Russian intervention in Georgia and Crimea, as well as in Syria, shook up the international peace order, arguing that Russia has chosen ‘competition and confrontation over cooperation’ through its willingness to change international borders. He warned that the threat from Russia is a longstanding one as its military power is based on system rather than personality. He continued by arguing how Russia employed further tactics, such as cyber-attacks, employing conspiracy theories, and supporting anti-EU extremists, in addition to using diplomatic services as a cover for Russian intelligence. Norkus highlighted the growing threat of Russian military capabilities closer to his home country of Lithuania. He stated how the Kaliningrad region is becoming increasingly militarised with the presence of a Russian base and that 7% of the population has some kind of relation to military activity in the region. Norkus provided an idea as to how this threat can be responded to as he explained that Lithuania was taking steps in strengthening itself in areas such as cyber-defence. However, he acknowledged that Lithuania was also open to dialogue but that this dialogue has to be meaningful. Moving back onto the topic of Ukraine, Norkus explained how Maidan ‘represented the manifestation of the will of the people’. 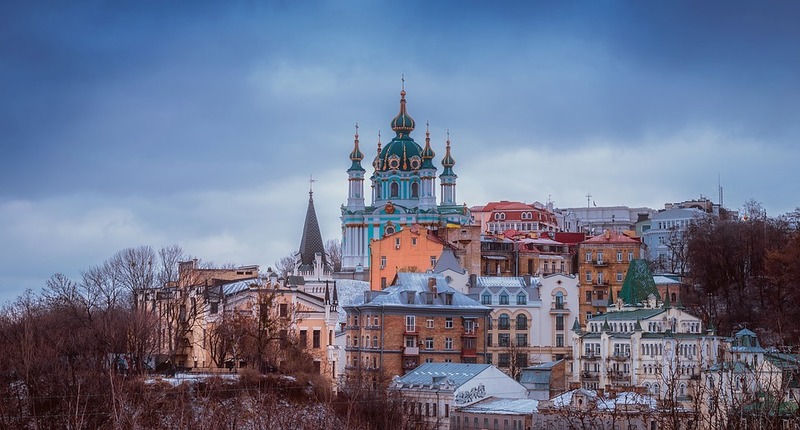 He concluded his remarks by providing a positive forecast on Ukraine’s future by arguing how Ukraine has achieved more positive change in the years since Maidan than it had in the previous 25 years before. He emphasised the importance of staying united and forging a strong relationship with Lithuania and other European countries in order for Ukraine to stay on the right path. Following on from Norkus, Edward Lucas introduced his points. Lucas argued that the threat we see from Russia today is not a new one and that we were warned about this threat years ago by the Eastern European states, emphasising how this threat needs to be approached with humility. He argued that 2014 was a low point with Russian tactics being employed on a vulnerable country like Ukraine, adding that Russia is capable of an invasion in the Baltic States and that we must stand strong in the region to prevent this. Furthermore, Lucas highlighted how the relationship between NATO and the EU, as well as the strengthening relationship between the EU and US, has shown resolve in recent years and this has contributed to a safer Baltics. Lucas then looked at the impact of the Crimean annexation on Putin and Russia, arguing that the events in 2014 has not changed anything. Rather, Putin is less popular in Russia than before and the country has not catapulted like they expected to; essentially, the Russian ‘Grand Design’ has failed. However, Lucas explained how the West has failed to provide Ukraine with sufficient support and that Ukrainians were taking losses for us in the conflict. He argued that Putin is opportunistic; whilst the West puts money ahead of security, for Putin this is the other way around. Before concluding, Lucas touched on how we can defend ourselves from Russia, emphasising that any defence must find a mixture that preserves our values but also provides sufficient protection. However, he warned that whilst Russia is a current threat, we must be more wary of China in the coming years, arguing that Russia has been exposed in recent times. Lastly, Orysia Lutsevych introduced her points, explaining how the conflict in Ukraine is not just limited to a military conflict but that it expands to energy, trade and elections as well. Lutsevych argued that whilst Ukraine has been pushing for legitimate elections, Russia has argued otherwise. She acknowledged that Ukraine has been doing well in recent years but there are still vulnerabilities that we need to know about what they are. Essentially, she explained how the political structure in Ukraine is a fragile system and that it is prone to shifts like we saw in 2014. Furthermore, she added that if we make Ukraine a well governed country, it will become safer from such threats and vulnerabilities. Lutsevych continued by explaining how Ukraine is a useful example for further study as Ukraine persevered even without Western assistance. As a result, she argued that there needs to be a realistic way to integrate Ukraine into the European system, before concluding that a more secure Europe is indigestible to Putin.